Not having real time visual intelligence can mean the difference between success or failure in a mission. Tactical surveillance devices are often employed to gather this information in a covert fashion. These tools are used to increase situational awareness and provide details on conditions and environment to help insure that mission objectives are achieved, while minimizing the risk of collateral damage. Unfortunately, covert surveillance of a sensitive situation is not always possible because there is no visual path available. In these instances, visual access through a window or under a door is not even achievable. 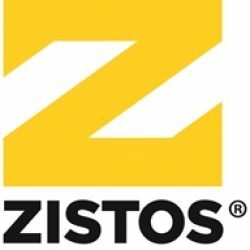 In circumstances such as these, the Zistos Through The Wall (TTW) portable video surveillance system may now be an option to create a visual path and provide real time visual intelligence. This is accomplished by allowing the user to peer through an interior wall into an adjacent room in a stealthy and covert fashion. The package includes a high-res camera, infrared (IR) illuminator, a sheet rock cutting toolset, and a portable video display for on-site viewing. The TTW system is also compatible with the Zistos universal Wi-Fi link (UWL), for local transmission of encrypted digital video to command vehicles, PCs, tablets and other mobile devices as needed. Operating under low light or in total darkness, the system can provide images via pinhole camera, and virtually silent sheet rock cutting tools for undetected site surveillance through an interior wall.